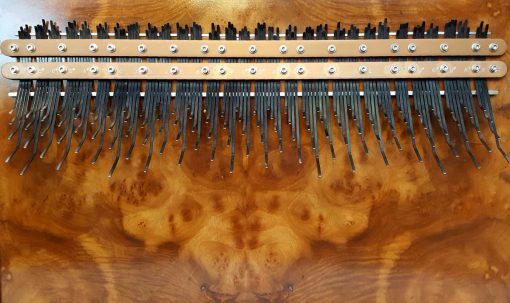 Extraordinary! 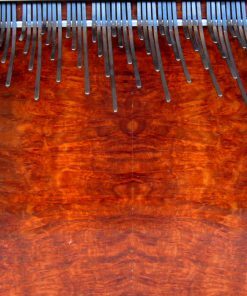 Ultra deluxe model with incredible camphor burl top and stunning zebrawood sides and ends. 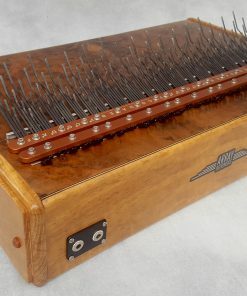 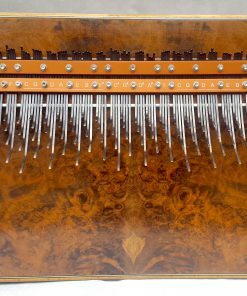 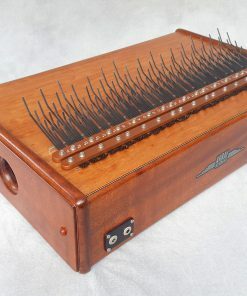 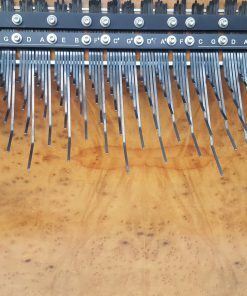 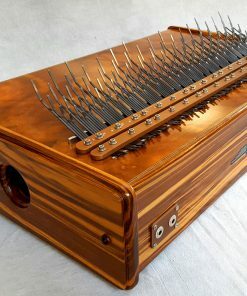 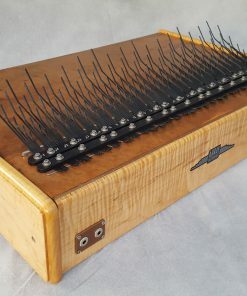 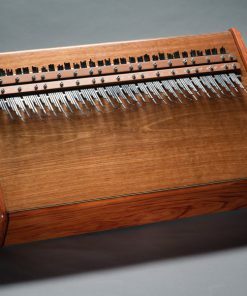 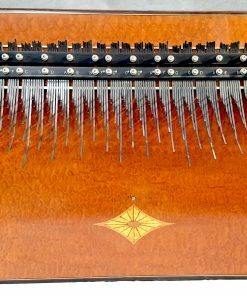 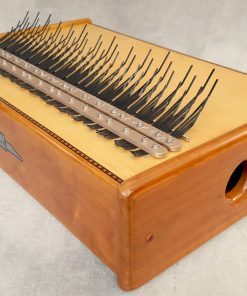 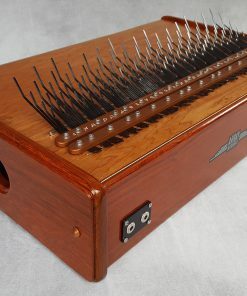 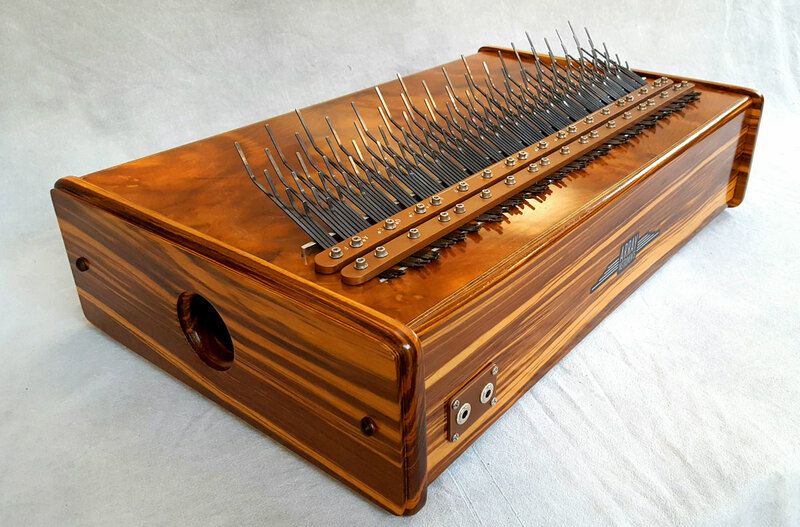 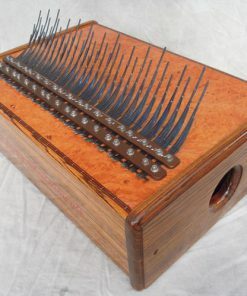 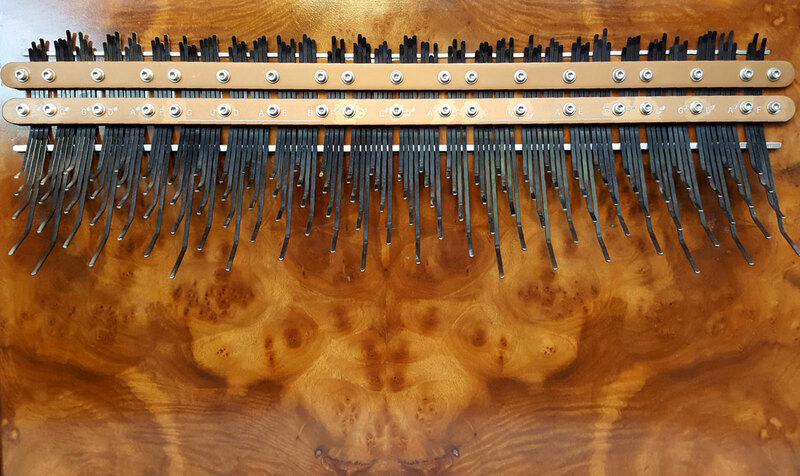 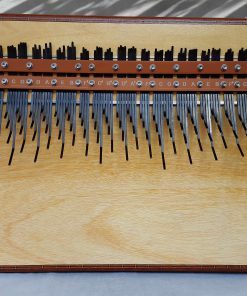 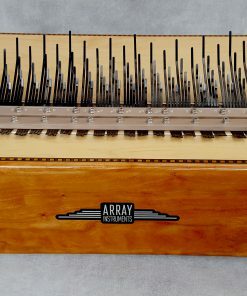 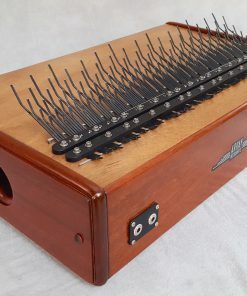 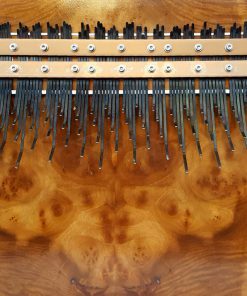 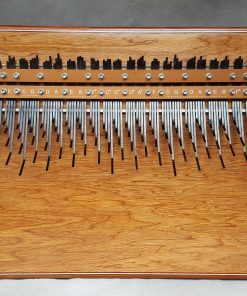 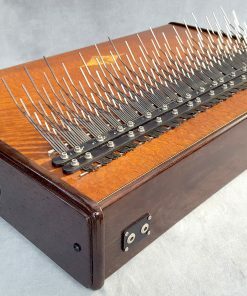 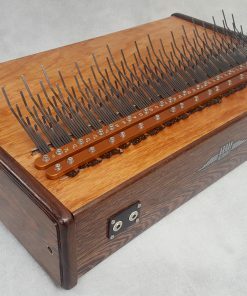 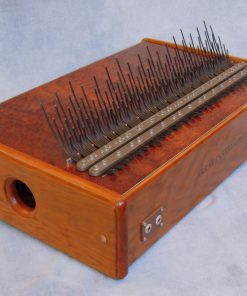 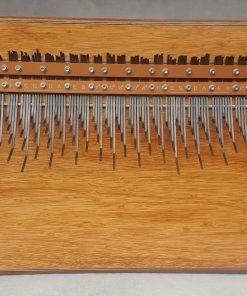 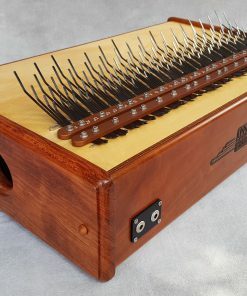 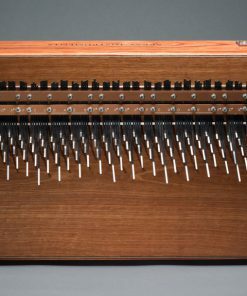 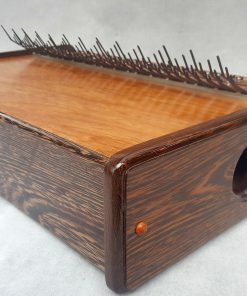 This instrument is one of the most beautiful Array mbiras ever made. 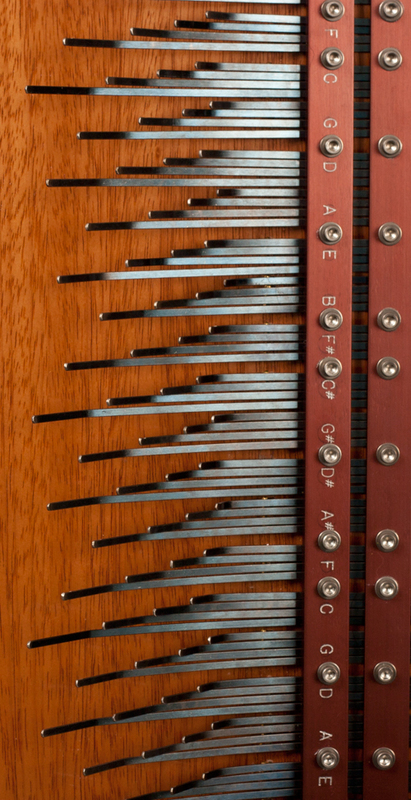 Bright tone with long sustain and punchy bass.